You may think that matching a foundation to skin type is easy-peasy. However, it appears that it’s quite the contrary. 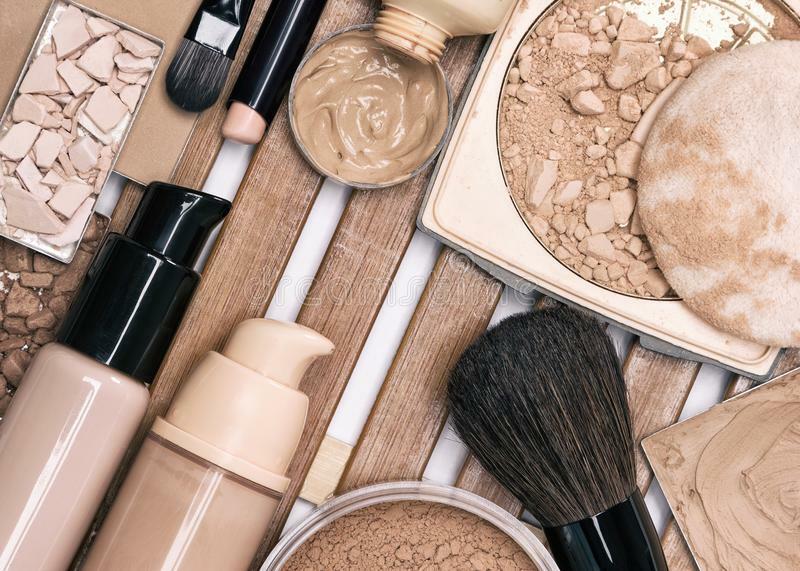 While choosing a foundation for yourself, you also have to bear in mind your daily face skin care routine, other cosmetics you apply, consistency and composition of a product. For that reason, it’s high time for you to learn types of make-up foundations to choose this one and only colour cosmetic that will meet all your expectations. How to choose a foundation? Foundations available in drugstores offer multitude of properties and are destined for all skin types. No matter it functions, each colour cosmetic has to be tested in the same way. While choosing a foundation, try your best to match it with your skin tone. Then take a small portion of the cosmetic, apply it to jawbone and wait a while. If the foundation becomes invisible, you are free to get it. After all, thanks to this very foundation, you will be able to do flawless make-up. Define your skin shade. Find out whether your skin tone is rather cool or warm. The easiest way to do it is by heading your face to the sunlight and placing a white sheet of paper close to it. If you recognize your skin as blueish or pink, when compared to the sheet, then your face skin tone is cool. On the other hand, if your skin seems to be golden or yellowish, you can categorize your skin tone as warm. Match the shade. Foundation which shade perfectly matches your skin is supposed to be invisible. How to win this effect? Apply a small quantity of three various foundations to your jawline and select the one which melts into your complexion completely. Another issue to mention, if your skin tone is cool, go for a cosmetic that is beige and features pinkish tints, whereas if your skin tone is warm – choose a foundation of golden shade with bronze or yellow tints. Action. The right shade of a foundation is not enough. A high quality colour cosmetic must offer features that correspond to a particular skin type needs. To clarify, you can choose among mattifying foundations, moisturising foundations, nourishing, highlighting, etc. Essential is matching a foundation type with a skin type. What action should a high quality colour cosmetic deliver? mature skin – a foundation for this skin type should reduce visibility of wrinkles, make skin more supple and more radiant.